Singapore is small, but many places yet to explore! Singapore is a small country and we often catch ourselves complaining about small it is, and that we have been to every corner and attraction in Singapore. 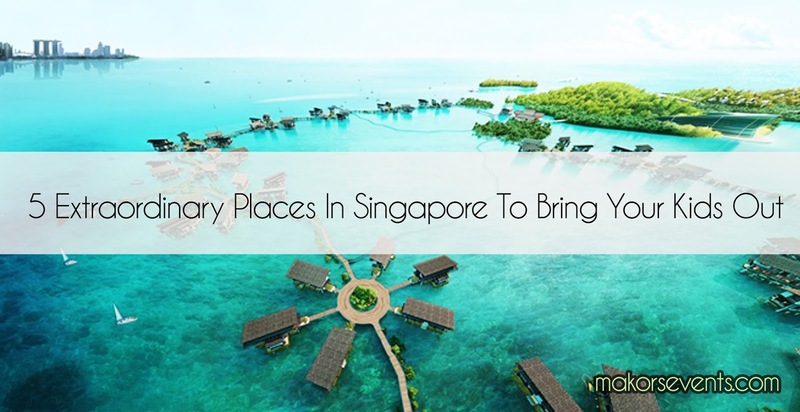 Little did you know, that there are a lot of hidden gems not known to many Singaporeans! Nope, not the Coney Island, and not the zoo. This are gems where not known to even locals and families are promise hours of fun and discovery! Have an adventure as you explore the stunning cliffs and wander into secluded natural caves and let your kids’ imaginations run wild. Awesome scenic view, perfect for family photos. Tanjung Rimau beach located on Sentosa with a wide range of marine life observable such as starfish, shrimps, cute crabs, moray eels, frogfish, sea slugs and many more! Price: Free - enter Sentosa on foot by the Boardwalk. $2.00 - $10.00 per vehicle. Where: Tanjung Rimau beach, Sentosa. Near Shangri-La’s Rasa Sentosa Resort & Spa, accessible via descending the rocky slope at the end of the building. A paradise beyond Harbourfront. A beautiful offshore island where palm trees sway with the cool breeze, and wave lapping gently onto the shore, while the sun sets behind the our Singapore landscape. The Avatar Habitat - where your kids interact and feed various bird species such as birds of prey, parrots and lorries. Simia Adventure – Get up close with various monkeys, where they live and roam in total freedom, watching them move acrobatically can be really entertaining. Aqua Adventure, Deep Ocean Wonder – Discover and learn about exquisite marine creatures in the crystal clear waters. Mangrove Safari Ride, Riau Jungle Explorer – Explore and jungle and the mangrove swarms and be in one with the nature! Price: Eco-resort will only open at the end of the first quarter of 2016 so stay tuned. Where: 30 minutes ferry ride from Harbourfront terminal, Singapore. Cyclic and enjoying seafood in Pulau Ubin we have all done that, but this is something really unique! A special cooking class held in a 100-year old Malay House, by Madam Kamariah’s family you will learn how to make the little known healthy Malay dish, Nasi Kerabu, with 30 different types of wild jungle herbs which we will gather around the house. Nasi Kerabu (Herbed Rice), Sambal Belachan Tumis, Butter Prawns and Ice Kachang! Price: $140 per person (minimum 20 pax, maximum 80 pax). Where: Meet up at Changi Point ferry terminal and you will be guided there. This renowned dairy farm is a major leading milk supplier in Singapore, located at Lim Chu Kang Road. Get your kids really excited as they feed the magnificent cows and adorable calves. The owner will give you a personal guided tour around his farm and also a bottle of fresh milk for a small free. The farm also offers free home delivery of fresh cow milk right to your doorstep for $6.00 per litre, only with a minimum order of 5 litres. Price: $3.00 per person for a farm tour and a bottle of fresh milk. Explore the world's first and smallest Swiftlet Garden Museum, housed in Singapore! Embark on an educational guided tour to discover the world of swiftlets, the bird species known for producing the highly valued and delicious bird's nest. Learn the history of bird's nest, explore caves and house nest and understand processing techniques and health benefits of bird's nest. And the best part: through a live demonstration, you get to experience the majestic view of swiftlets hovering above you! Price: $3.00 per adult; free for children below 12yrs. Now you're all set for the weekend!